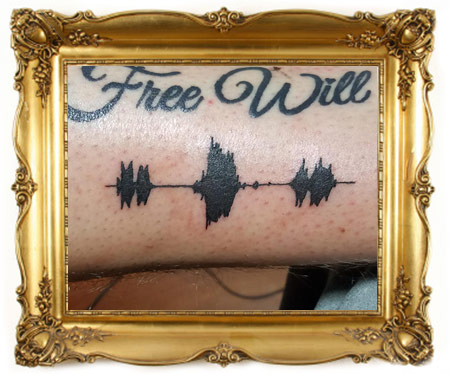 I just ran into https://skinmotion.com/ which sells "Soundwave Tattoos". My gut says tattoos cannot have high enough resolution to actually encode 15s of audio - even at speech quality. Reading all the "FAQ" items I get the impression that the company knows the tattoos are "unplayable" except with their specific App. This all suggests that their app merely detects the shape, making a fingerprint and looking up matching samples in their cloud database. The match can be crude, as long as there is sufficient confidence gap to distinguish from (expectable) similar matches. does anyone know how to approximate at what database size (number of registered, activated tattoos) there would be, say, a threshold probability p (say, 10%) of the app playing the wrong sample when scanning any particular tattoo? I'm aware many parameters are highly implementation-dependent, and likely patented information. However, I also know that mathematics has general formulae about information representations, entropy and compression vs. information loss. So I figure mathematically there should be an upper bound on the performance of a service like this. Browse other questions tagged consumer-products technology mobile-phones fashion . Do protective covers for mobile phones offer significant protection from serious physical damage? Could cutting one's self on a broken CFL bulb cause severe injury? Could a solar flare cause economic collapse? If the universe is just a Matrix-like simulation, how could we ever know? Could the Nokia 1100 be hacked to sniff SMS messages intended for third parties? Are the methods and conclusions of the study “Clear connection between wireless devices and cancer, experts say” sound? Are mass-bred chicken fed with hormones or other substances that, when you eat their meat, can have significant negative effect on your health? Does “reverse sound technology” make headphones safer?